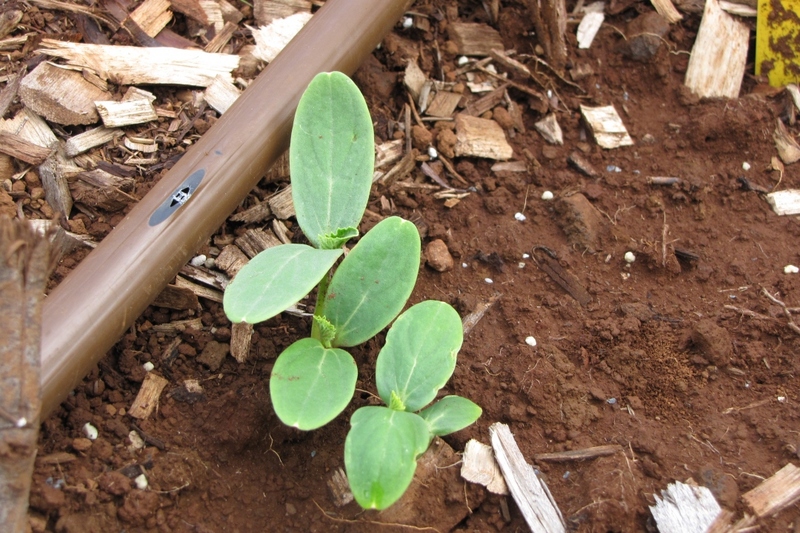 Cucumbers (Cucumis sativus): growing, planting, caring. 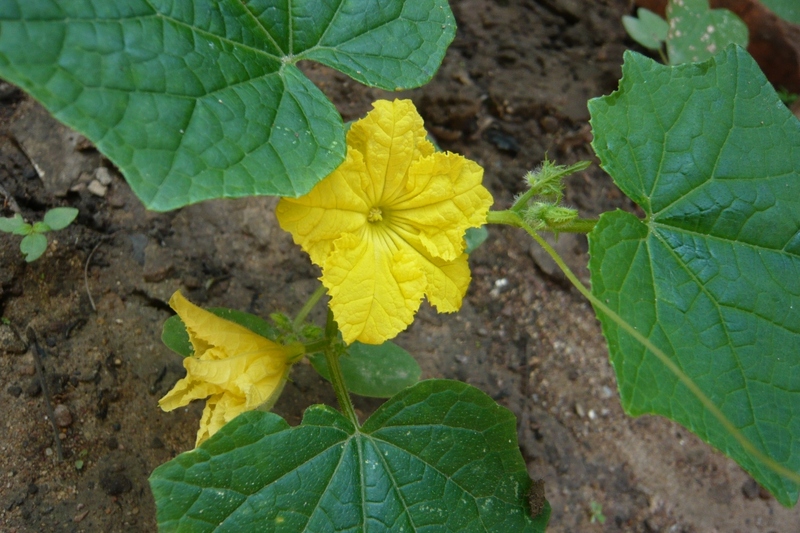 The expression "cool as a cucumber" stems from this veggie. Not clear why? 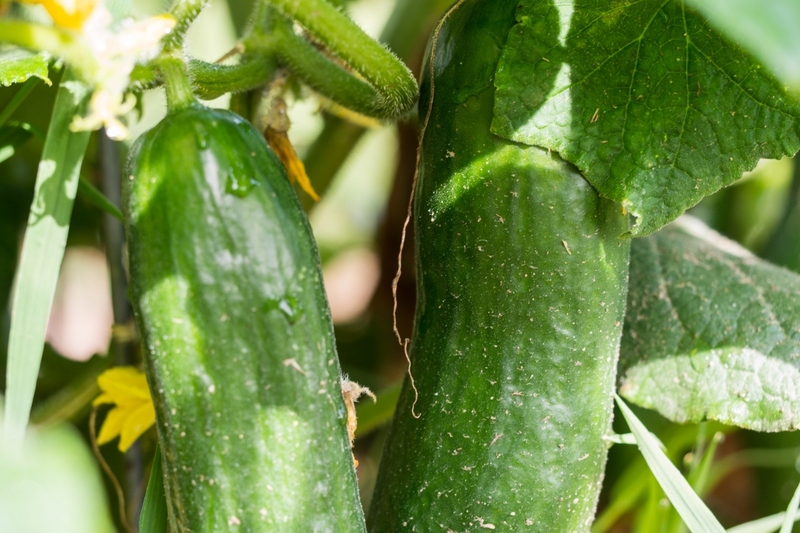 Cucumbers stay nice and cool on the inside even when it's sweltering outside. 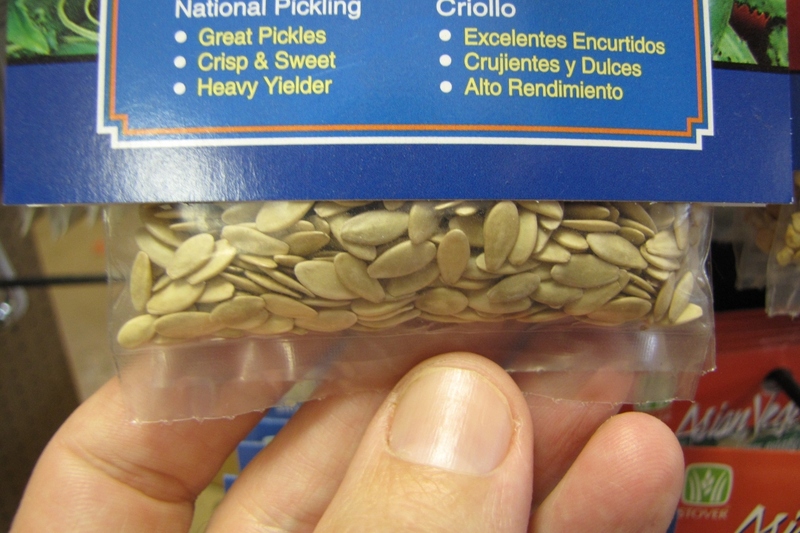 This plant provides us with both cucumbers and eventually pickles, depending on harvest time! 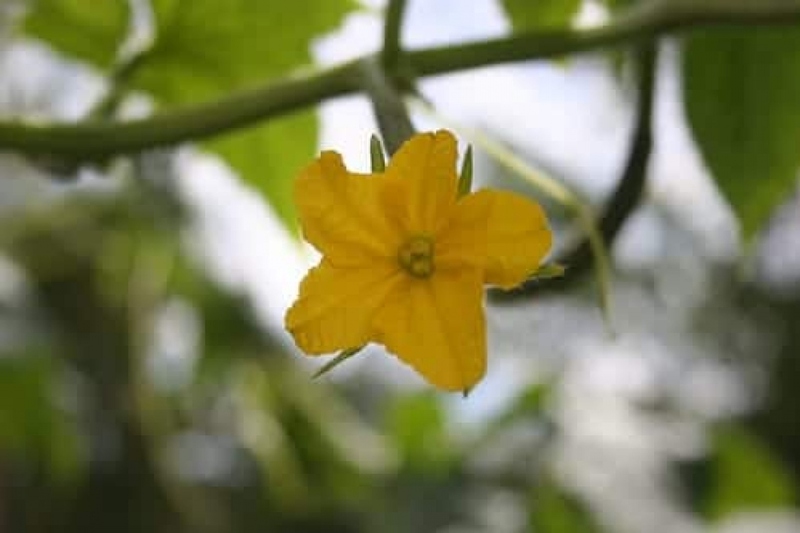 The cucumber is a herbaceous vegetable garden plant that creeps or climbs, from the same family as the African calabash, the melon, or the squash (the famous Cucurbitaceae!) grown for it edible fruit that is eaten like a vegetable. It likes heat and needs to be watered a limited amount on a regular basis.